High-End individual modules. 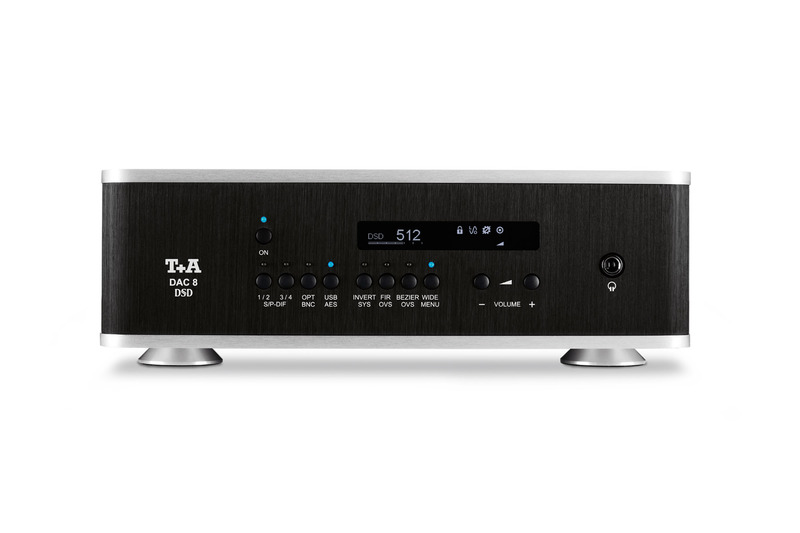 T+A has evolved a long series of superior products which have gained the company an outstanding reputation for its converter and amplifier technologies. These were generally used in our players and integrated amplifiers, but with the DAC 8 DSD, MP 8 and AMP 8 we have made use of this expertise in individual modules, enabling us to exploit our exceptional technologies and sound qualities also in compact High-End systems. The DAC 8 was our first device designed to operate purely as a converter, and achieved its fantastic performance through the use of the very finest technologies and uncompromising design. Its successor is the DAC 8 DSD, which is the result of substantial further development work. It is now capable of processing even DSD formats at ultra-high resolution using a dedicated T+A True One Bit Converter. This means that it features the very latest leading technologies to convert any digital source into perfect analogue signals at ultra-high quality. 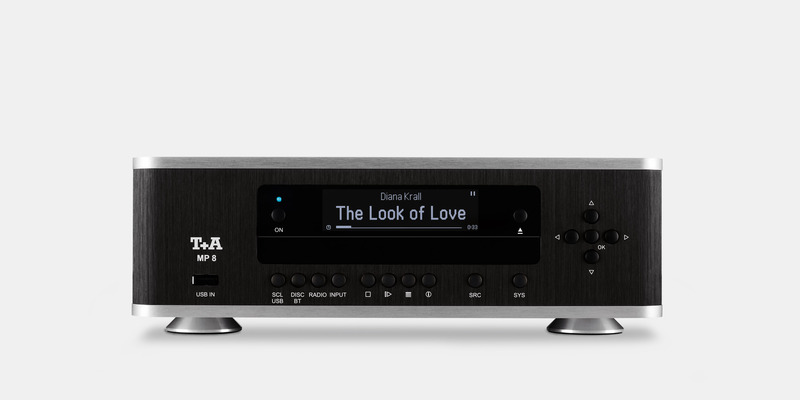 The result is that the new DAC 8 DSD is the perfect unit for use with digital sources in a classic High-End system which is not capable of processing digital sources directly, or not at sufficiently high quality. With its superb pre-amplifier and sophisticated volume control the DAC 8 DSD can also drive very high-quality power amplifiers or active speakers, enabling it to take its place as the High-End command centre of a complete system. It was exactly for this purpose that we developed our high-performance AMP 8 power amplifier. This unit is based on the circuit technology of our HV- and R-series amplifiers, which simply means that it offers superb sound characteristics and very high power reserves in spite of its small physical size. 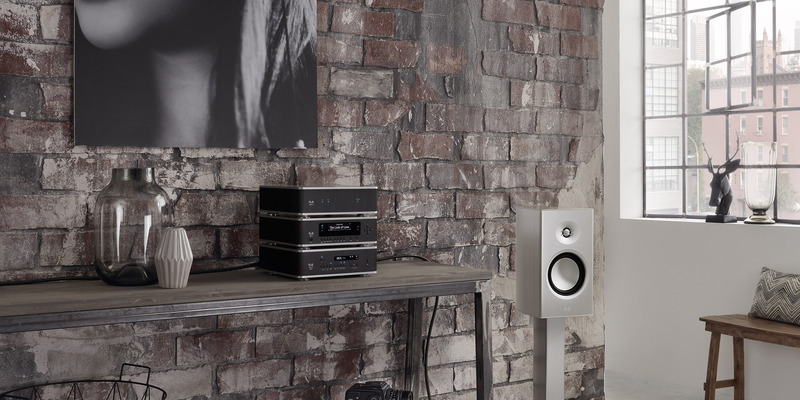 The new MP 8 Multi Source Player completes the Series 8 range. The MP 8 is based on our R-series MP 2000 R MKII, and is best described as a digital multi-talent. It incorporates a wide range of digital sources, from CD mechanism via high-res streaming client to Bluetooth module, and processes all of them to the highest standard of audiophile quality. Viewed overall, the Series 8 constitutes a comprehensive High-End system offering extremely high performance, despite being amazingly small and compact. The cases are of all-aluminium construction: the base plate and top cover are machined from solid aluminium plates 6 mm thick, and we make the side and front panels from aluminium profiles which are extruded using special complex tools. All sockets and connections are made from gold-plated pure brass, eliminating all traces of ferro-magnetic materials which could generate interference. The heavy case rests on vibration-damped absorber feet.